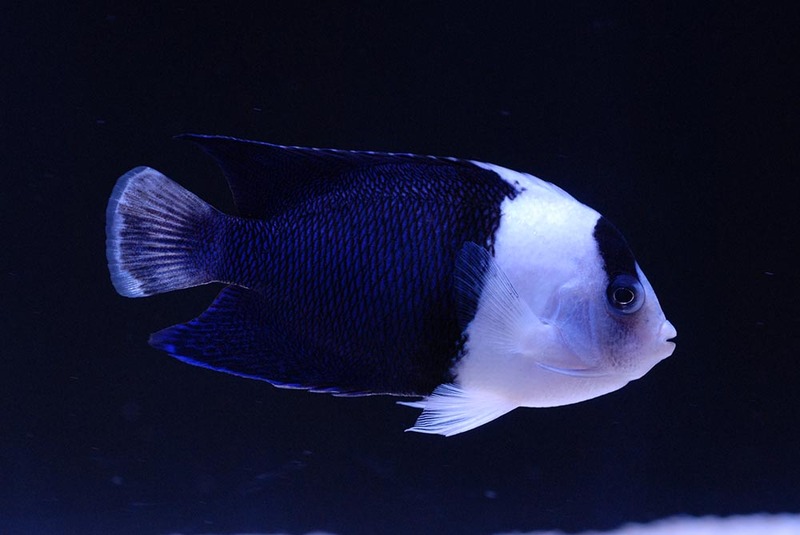 Los Angeles-based wholesaler Quality Marine recently received a uniquely patterned aberrant specimen of Bicolor Angel (Centropyge bicolor), which was collected in Fiji. Although oddly-patterned or aberrant dwarf angelfishes of the genus Centropyge make their way into the trade somewhat regularly, this particular specimen—which lacks all yellow coloration—appears to be only the second documented instance of this mutation making an appearance. Instead of the species’ trademark yellow and deep blue, this specimen’s colors are subdued, giving it a high-contrast, almost black-and-white, appearance. Despite the recent arrival of this unique angel, a representative from the company said, “This specific specimen is the picture of health. 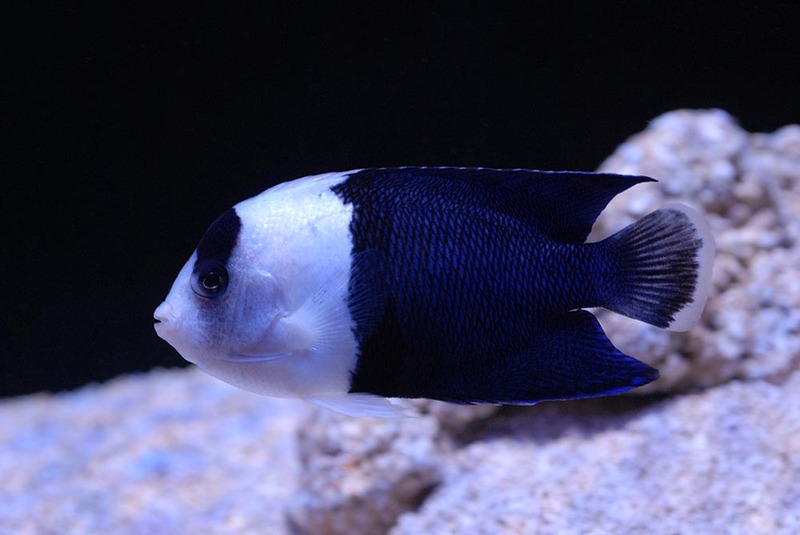 He started taking a good mix of food very quickly, even some pelletized foods.” Hobbyists with a taste for the rare who may be interested in acquiring this unusual fish should contact their local aquarium shop and ask them to contact their Quality Marine sales representative.